LEICA Barnack Berek Blog: DO THE LEICA CMOS SENSORS HAVE ANY ADVANTAGES OVER THE COMPETITION? DO THE LEICA CMOS SENSORS HAVE ANY ADVANTAGES OVER THE COMPETITION? “I have to say that I found this surprising, but these Canon lenses are super sharp on my SL. The 17-40mm zoom, which gave me only average results on my Canon 5Ds and soft corners on my Sony A7rII is incredibly sharp on the SL. And so are the others, including the 18 yr.old designed 28-135mm. Of particular mention is the 85mm f/1.8, which is spectacularly sharp across the frame. The brilliant little 40mm f/2.8 FF pancake is also very good indeed. As I indicated, I wasn’t expecting this, but Leica’s commitment to non-AA filtered sensors shows it’s benefits here. I’m quite happy to admit that I’ve not been that complementary about Canon EOS EF lenses, but on the evidence of this they are a lot better than I thought. Once you get rid of that AA filter softness that is. This brings up the question of what it is that allows the Leica sensors to show such performance increases. The elimination of the anti aliasing filter is one thing. Whil;e most other manufacturers use such a filter to prevent aliasing problems, Leica does so strictly electronically, with nothing in the way of the light path from the lens. But there is more. Most people are under the mistaken impression that the higher the megapixel count in a camera, the better the performance. Even though it may appear to defy logic, this is not necessarily the case. Any optical system, even a theoretical one that is made without any optical aberration or other faults, has a performance limit. With the ever increasing pixel density of digital sensors, an ever increasing number of megapixels are being put in the same space. That brings up the question if our lenses are even capable of a level of resolution to take advantage of the sensor’s capability. Even the most accurately made lenses have an absolute limit: the physical properties of light. The resolution of any optical system is limited by diffraction. The light, the aperture and especially the diffraction of the light at the edges of the diaphragm constitute an absolute limit of the overall resolution. It is impossible to achieve a resolution higher than that allowed by the lens, regardless of the resolution capabilities of the sensor or film. This brings up the question of what resolution a photography system is capable of under ideal conditions. This is a very interesting question in view of the fact that many digital cameras are getting close or even exceed the limits of diffraction – the sensors are of a resolution level that the lenses are hardly capable of achieving. To be clear, this has nothing to do with the quality of the lenses, it is solely because of the limits of physics. Here is a table of these limits based on sensor size. The lens opening or aperture is the deciding factor for the resolution capabilities of any optical system. The larger the diameter in relation to the focal length, the larger is the theoretical resolution. Each subsequent smaller aperture will half the visible resolution. Unfortunately, the performance of most lenses is usually less wide open than when moderately stopped down. The theoretical values at f/1.4 can hardly be reached in the real world. Optimum performance usually is not reached until stopping down to a range of f/2.8 (at best) to f/5.6 or f/8. Please note that due to diffusion within the emulsion these figures extend to f/11 with most color and black and white films. This is especially important with smaller sensor sizes. While a 35mm full frame sensor is capable of a theoretical resolution of 60 megapixels at f/5.6, a 2/3 sensor is reduced to just 4.4 megapixels at the same aperture. At this point, the actual pixel size becomes important also. As a rule of thumb, we use Aperture divided by 1.5 equals pixel size in microns or µm (Aperture/1.5=pixel size). For example, 2 / 1,5 = 1,3; 5,6 / 1,5 = 3,7. At f/2, all sensors with a length of 1,3 µm or more on each side are capable of resolving all the lens can deliver, but at f/5.6 the individual pixel size has to increase to a length of at least 3,7 µm to do the same. If the individual pixel size is smaller, resulting in a seemingly higher sensor resolution, we are dealing with a so-called blind resolution which cannot be achieved because of the physical limits of the resolution of the lens. It must be pointed out once more that these values all are based on theoretically flawless optical systems. Not included are negative impacts from anti-aliasing filters, signal processing (keyword Nyquist Frequency), increases in noise and the necessary interpolation of sensors with Bayer mosaic (RGB filters). Ultimately it is up to each individual what performance parameters we want to set for or expect from our camera equipment. 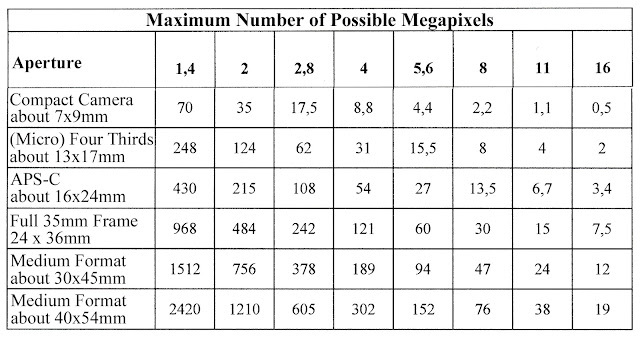 This article hopefully made it clear that megapixel resolution is not necessarily the key to overall performance of our camera equipment, that lens performance is of equal, if not even greater importance. This brings us to Leica lenses in particular. Since theoretical resolution is highest at the largest aperture of a lens, it makes sense to use lenses which do offer good performance at those apertures. In this regard Leica lenses are unsurpassed. While competitor lenses might come close in performance to their Leica equivalents at smaller apertures, their performance fall off wide open is usually noticeably greater than with their Leica counterparts. 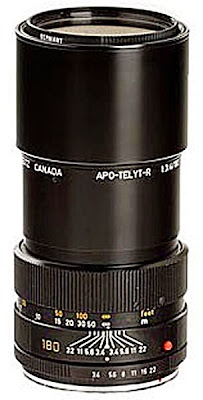 For example, the 180mm f/3.4 Apo-Telyt R was specifically designed to offer optimum performance at maximum aperture. There was no appreciable performance increase at smaller apertures. 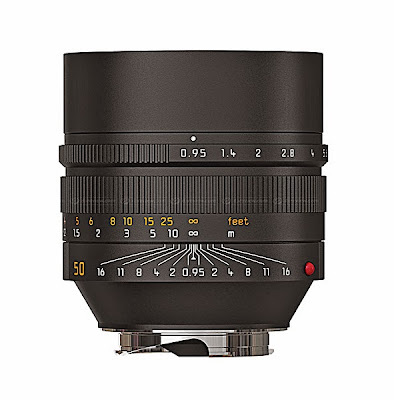 Other examples are the Summilux f/1.4 lenses and the Noctilux f/0.95. These lenses are capable of taking full advantage of the performance increase when used wide open. We should always evaluate a lens by its performance at ALL apertures and not only the ones that result in the best results. It doesn’t make any sense to buy a fast f/1.4 lens, for instance, if it requires to be stopped down to f/4 or f/5.6 to deliver adequate results. While these are compelling reasons for considering Leica cameras and lenses, their sensors do set themselves apart from the competition also. Instead of participating in the pixel race, Leica and their sensor manufacturer have done a remarkable job of optimizing sensor performance. Compared to their competitors, both the Leica M and S line of cameras seem to be lagging behind. As far as total pixel count goes, that is definitely correct. However, that does not at all translate into lesser performance and capabilities. The Leica sensors differ in several respects, all of which are designed to optimize performance. Besides, what is really gained by a higher pixel count? Take the Leica S sensor for instance. 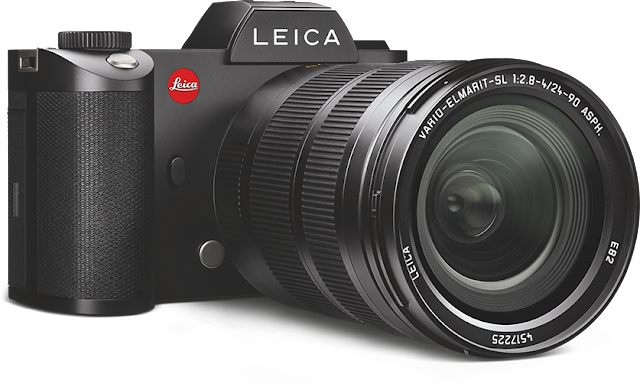 The difference between the 37.5 MP sensor of the Leica and a 50 MP sensor is only 10 – 15% as far as the increase in linear resolution is concerned. Is that really enough of an increase compared to the other advantages of the Leica MAX_24MP CMOS Sensor as used in the Leica M? Let’s take a closer look. It is no secret that individual pixel size does make a difference. The larger the individual pixels, the better they will perform. To increase resolution, either the pixels need to be made smaller to fit into a certain sensor size, or the sensor size needs to be increased. 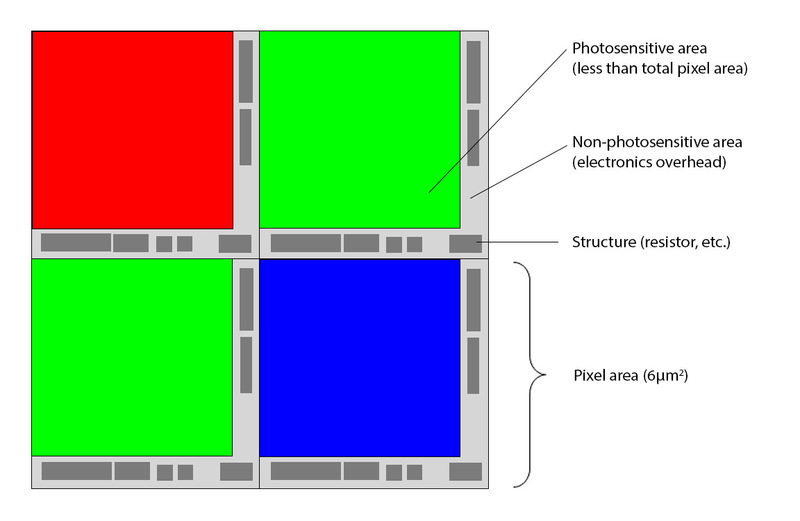 Regardless of the number of pixels on a sensor, not the entire surface area of each individual pixel is light sensitive. The pixels need to be supported by a substructure and each individual pixel needs to be connected to the system by small wires. Canon, for instance uses wires with a size of 0.35 micron. Sony is definitely better with a size of 0.18 micron. Leica by far exceeds that with a size of 0.09 microns. As a matter of fact, when determining the specifications for the sensor, Leica demanded that the structure sizes be kept as small as technically possible. One goal was to keep the non-sensitive areas of each pixel as small as possible. 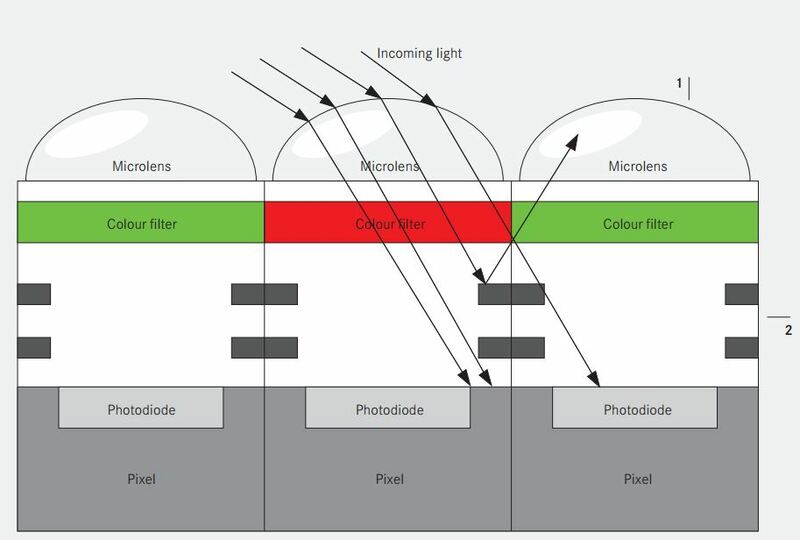 If less of the surface of the sensor is taken up by supporting electronics overhead, then more surface area can be used to collect incoming light. This results in greater dynamic range and a higher initial sensitivity. Another means to increase sensor performance is to make it as thin as possible. The Leica CMOS sensor in the Leica M240 is the thinnest ever developed. 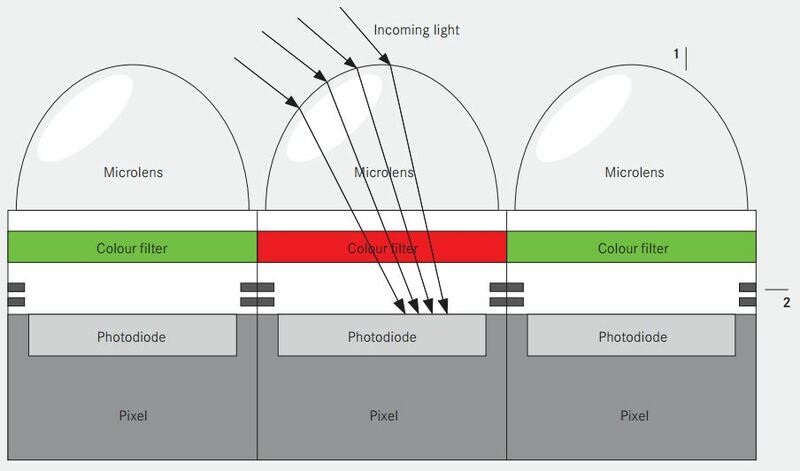 Each sensor contains several layers. By making each of them as thin as possible, the end result is a significant increase in performance because more of the incoming light can actually reach the photodiodes, the individual pixels. Another advantage was gained by using copper for the connecting material instead of aluminum, which is the common choice because the process of using copper is substantially more complex. Copper has a substantially lower electrical resistance than Aluminum, meaning that conducting layers with half the thickness could be used. In addition, to minimize thickness, instead of having four metal layers for the conductors typically employed on CMOS sensors, only two were necessary on the MAX CMOS chip. An advantage was also gained by using a different design for the microlens covering the entire sensor. Instead of using the common flat lenses, Leica went to an elongated, parabolic design. That has the advantage that more of the incoming light will be redirected to the individual pixel areas and, especially at the corners of the sensor, there will be no noticeable vignetting. This can easily be verified. Several other camera manufacturers allow the use of Leica M lenses on their cameras. Take the Sony A7r for instance. Mount a Leica 18mm Super Elmar-M ASPH on the Sony and take a few test shots. Then compare those to the results obtained from a Leica M. The difference is more than obvious. But it doesn't even require an extreme wide angle lens like that. Take a 35mm Summilux ASPH, and you will find similar difference. The Sony sensor just isn’t capable of handling non-retrofocus lenses anywhere near as well as the Leica M does. 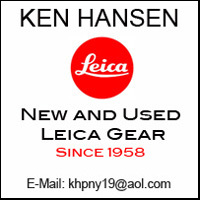 Therefore, when it comes to selecting a high performance camera system, one has to decide if a gain of two or three pixels per inch in linear print resolution is more important than the long list of advantages gained with the Leica MAX CMOS sensor.